Stunning, show stopper corner property. 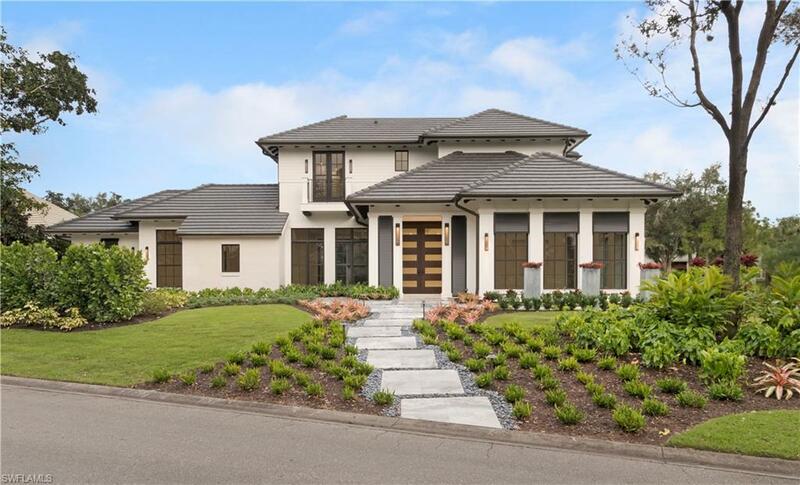 This 2019 new construction is one you will want to see. 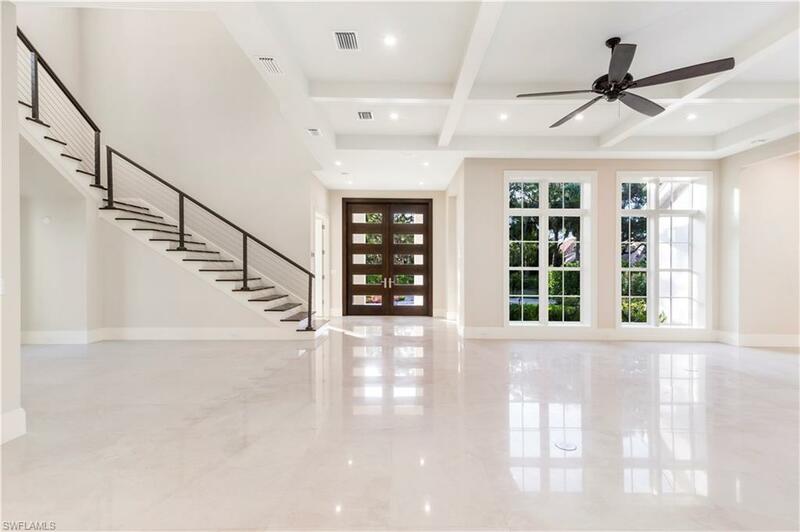 As you enter this beautiful, bright home you can not help but notice the eye catching marble floors, open floating staircase, soaring tray ceilings and large Andersen impact windows. No detail was overlooked here. The gourmet kitchen is outfitted with wolf appliances, sub zero, lots of cabinet space, pantry, wine cooler along with cristallo quartz counter tops throughout. 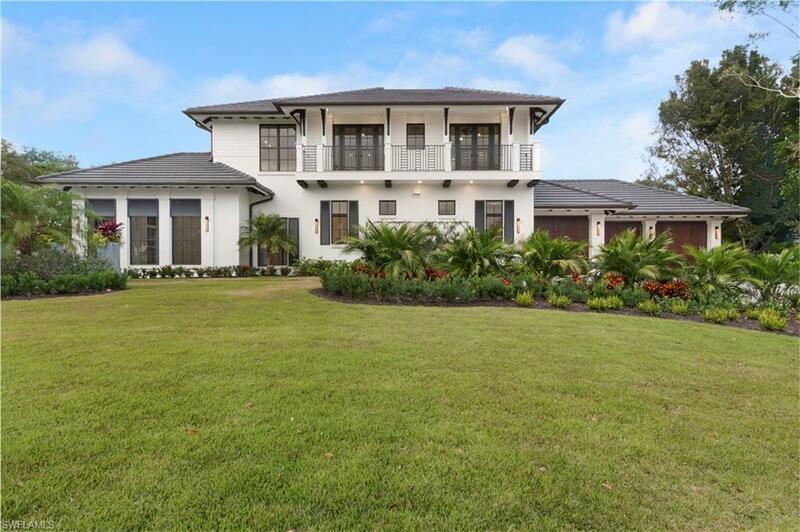 The home offers 4 very generous size bedrooms, four and a half baths and a 3-car garage. For your convenience there are two laundry rooms one upstairs and one down. Extend your entertaining outdoors with a drop dead gorgeous floor to ceiling marble fireplace alongside and impressive outdoor kitchen, salt water pool, spa and decorative fire feature. You will also find a 1 BR guest house for the overflow of guest. 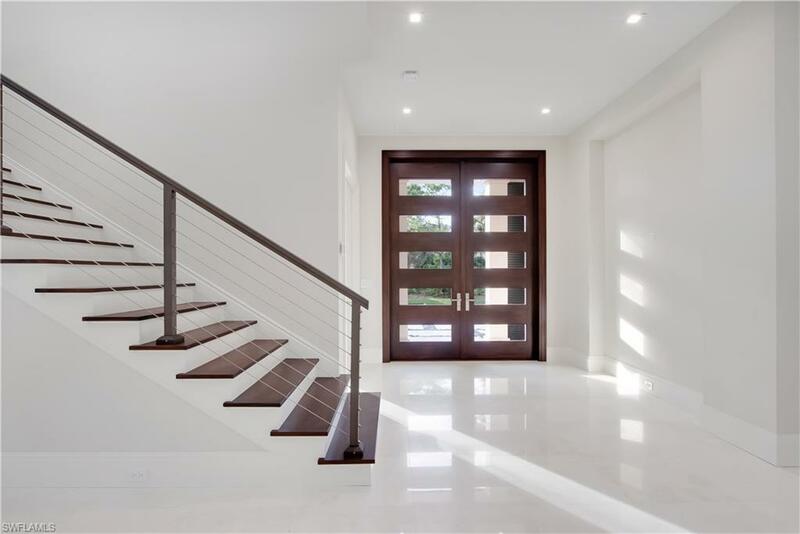 Pelican Bay is one of the most sought after locations. You are just blocks away from Waterside Shoppes, dining and Artis Naples where you catch a broadway show. Or just take the tram to the beach where you can have lunch at one of the two restaurants or just sun bath all day.